It was initially dismissed as a publicity stunt, as if KFC was thumbing its nose at the healthy eating trend by rolling out the unhealthiest item they could think of: a chicken sandwich with two chicken breasts, cheese, bacon, and absolutely no bread to speak of. However, the people have spoken, and KFC’s Double Down is going to be around at least through the summer, with the sandwich’s limited run being extended past its original May 23 deadline. Hooray, heart attacks! 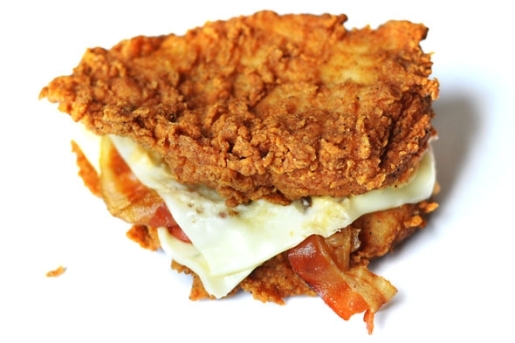 You know, for a publicity stunt, the Double Down has been insanely popular. KFC says they’ve sold over 10 million of the sandwiches. If you can call a double meat-patty a sandwich, rather than just a pile of food.